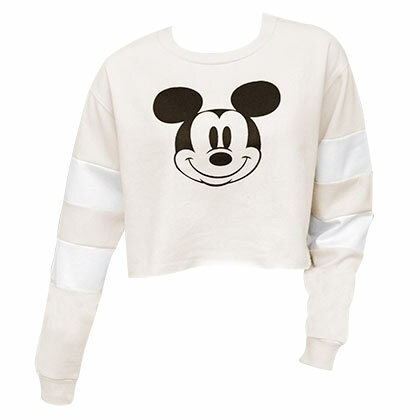 Officially licensed women's Mickey Mouse cropped sweatshirt. Comes in off white and features classic “Mickey Mouse" Image on the front. Made from a cotton/poly blend.